Light the Night 2016 was a HUGE success! The Leukemia & Lymphoma Society in Boise is AMAZING! I believe that when all is said and done, the Boise chapter will have raised over $300,000 for Leukemia and Lymphoma research and support. Thank you to all of my friends and family, that donated to this worthy cause; this year, we raised $2250, a personal record! Pestering and bugging friends and family for donations is not high on my "fun things" to do list, so I appreciate you all for putting up with, and supporting me during the month of September, which happens to be the month before the Light the Night Walk and Blood Cancer Awareness month. Blood Cancers certainly do not receive the attention that Breast Cancer receives, but with your continued support and encouragement we are getting there! Approximately every 9 minutes, someone in the US dies from a blood cancer. This statistic represents approximately 160 people each day or more than six people every hour. With help from people like you, research is getting closer and closer to a cure for blood cancers. 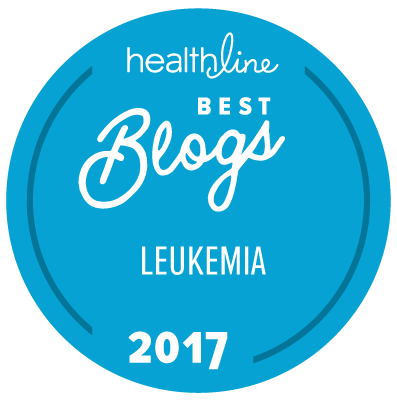 I have lived with CML (chronic mylogenous leukemia), for 5 1/2 years, and I know far more about blood cancers than I would have ever dreamt. CML appears to be one of those "fluky" cancers that just "happens". Some people consider it a "good" cancer, personally, I do not consider any cancer "good", but I am grateful that research and treatment has gifted me with 5 1/2 years of life, after diagnosis. Knowing that I will have cancer for the rest of my life, or until a cure is found, can be daunting. I treat my cancer every day and tests are run every three months to monitor disease progression or stability. Over the years, I have accepted this new way of life. Whether or not I will ever fully adjust to the changes in my bod,y caused by my treatment, I don't know; but I am trying! I think the most difficult aspect of living with a chronic cancer, are the side effects that occur from treatment. They change without warning and often correlate directly to specific lot numbers of the drug that those of us, with CML, ingest. CML fighters never know what is in store from day to day. We deal with musculoskeletal, bone, joint and nerve pain, major fatigue, pleural effusion, flu-like symptoms, headaches, blurred vision and the list goes on and on, on a daily basis. It is sort of like a grab bag; you never know what you are going to get. But this is the price we pay; we pay this price daily in hopes of a cure. A cure that will allow us to pick up where we left off, prior to being diagnosed with cancer. Of course we all know that there will likely be consequences to many years of taking a toxic drug, but it is a price worth paying. So, from the bottom of my heart, thank you for supporting me and the LLS, in our Light the Night Walk; with every single penny, we are one step closer to a cure!